Decatur, Alabama Criminal Defense Attorney Griff Belser has tried numerous cases to verdict in multiple counties in North Alabama. 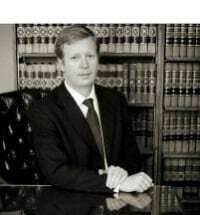 Charges include felonies and misdemeanors, as well as an extensive DUI practice. We have gotten acquittals and/or dismissals in charges ranging from Theft; Burglary; Robbery; Assault; Sexual Abuse; Drug Possession; and DUI's. Griff Belser believes that each case is different, and communication between counsel and client is essential to protect one's defense. Griff Belser is a 1999 graduate of Cumberland School of Law, and a 1997 graduate of Birmingham-Southern College.